So far Linda Fitzpatrick has created 84 blog entries. 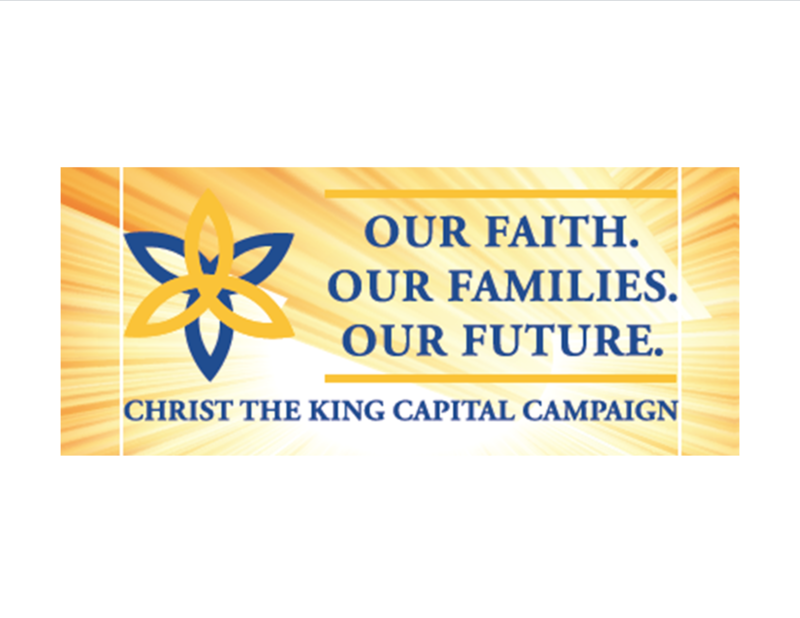 Thank you for supporting the Our Faith, Our Families, Our Future Campaign at Christ the King Catholic Church! The results of the campaign confirm our commitment as a community and our desire to continue our mission. Your support through your prayers and financial gift are greatly appreciated. I am grateful to each of you for our participation and support. This campaign is about the future of our parish and our families. As we continue our journey of Faith, let us always depend on each other, in Christ. Our results from the Our Faith, Our Families, Our Future Campaign were encouraging. We were able to raise $5,120,137.33 with each family’s help. 639 families participated in the program with an average gift of $8,012.73. We have already collected over $2.5 million, so it is important for each family to fulfill your pledge so we can continue the many projects we hope to complete. We have now reached the end of the active phase of our Capital Campaign. Thank you for your generosity. Some of you may still be praying about your decision to give and at what level might be appropriate for you and your family. We do understand this can be a difficult process. Please know we can accept additional gifts and pledges any time you are ready to make a commitment. Just contact the parish office and we will be pleased to assist you. 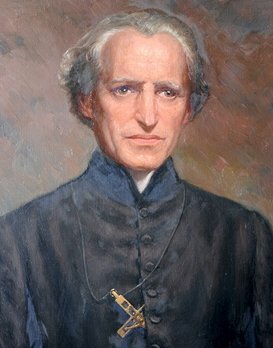 Today we’re very blessed to celebrate the feast day of Blessed Basil Moreau, the founder of Holy Cross. (A “Blessed” is someone who is one step away from being declared a saint.) 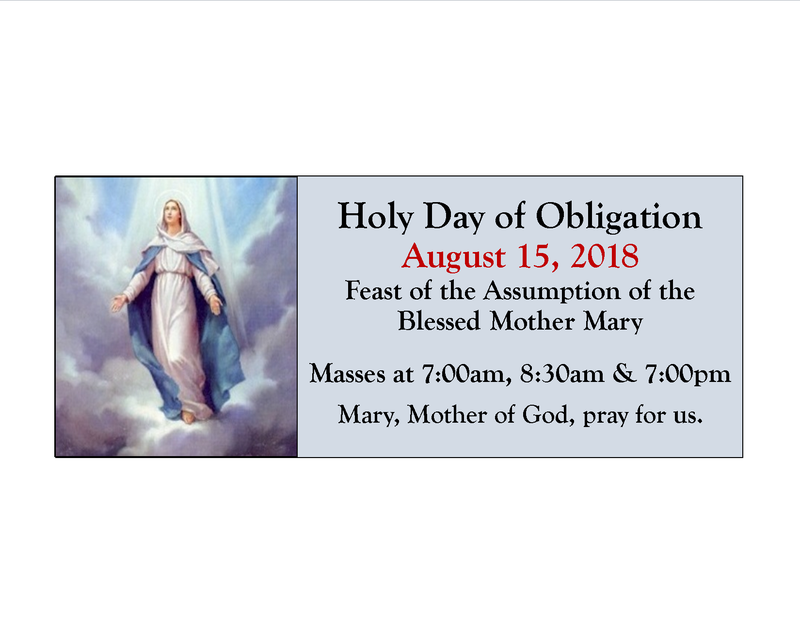 It’s not often that his feast falls on a Sunday, so this year we get to share it with the whole parish. Basil Moreau was born in France in 1799 and was ordained shortly after the French Revolution. It was a turbulent time for the country, especially the Catholic Church. The Church had been suppressed during the Revolution, and a large number of the clergy had been exiled or killed. This also had serious impacts on education in general, as the Church had run a large number of schools, especially in rural areas. As Fr. Moreau began his priesthood, he faced a generation who had been deprived of proper education and who had very little education in the faith. Fr. Moreau responded to this situation by forming a group of “auxiliary priests”, who traveled around the countryside giving parish missions to re-evangelize the people. Soon he was asked to take charge of a newly-formed group of teaching brothers who were being sent to re-found parish schools, and in 1838 he combined the priests and brothers into the Congregation of Holy Cross. 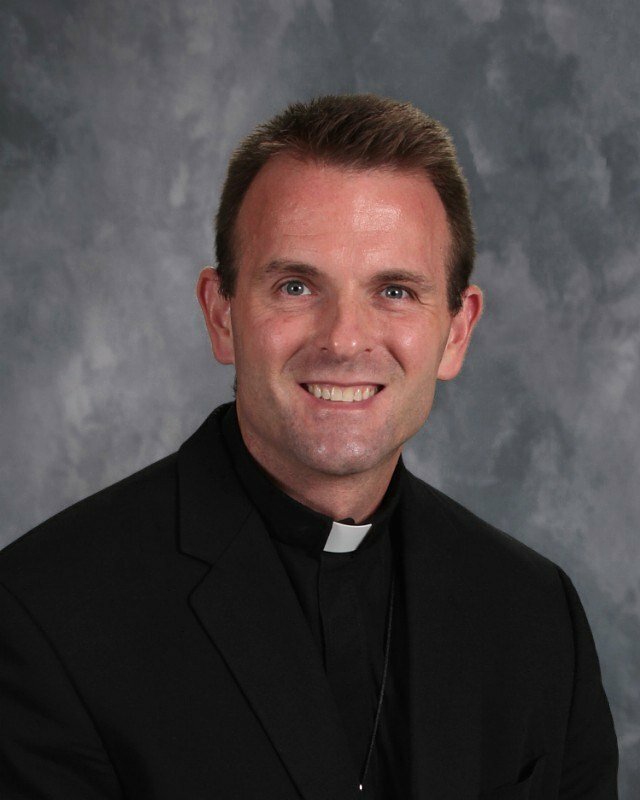 Holy Cross is the religious community to which Fr. Michael, Fr. Mike and I belong; and the religious community that has staffed Christ the King ever since we were founded in 1933. While the news headlines regarding the scandals in the Church has died down for now, it’s important for you to know that this doesn’t mean that the issue is being ignored. The U.S. Bishops met last month, and putting in new protocols to deal with abuse allegations was at the top of their agenda. Their original hope was to vote on new standards of conduct for Bishops, as well as on the creation of a new commission to review complaints against Bishops for violating these standards. Their agenda also included proposals for a third-party reporting mechanism, as well as protocols for Bishops who have resigned or were removed because of abuse. Unfortunately, the Vatican requested that the Bishops postpone their vote until after February. The Pope is calling a meeting in February for the presidents of all the Bishops Conferences throughout the world, and he indicated that he wants these types of protocols to be consistent across the world. He also wants to make sure that these proposals conform with canon law. As most of you are hopefully aware, October has been designated as “Respect Life Month”. It’s a month where we pay attention in a special way to the dignity and beauty of human life. Unfortunately, we’re reminded on a daily basis that all human life is not valued in our culture. We all know the hot-button political issues — abortion, euthanasia, capital punishment – that remind us how little some lives are valued. The need for a conversion of our culture is clear. There’s a lot to pray for. One of the reasons that Respect Life Month is such a beautiful observance is that it reminds us that all of these different issues are not separate and distinct, but rather are all related. They are all symptoms of a common sickness, and that sickness is a lack of respect for the dignity of human life. As Catholics, we believe in what has been described as a “consistent ethic of life”. That means that we are called to view each human life, from the moment of conception to the moment of natural death, as a precious gift created in the image and likeness of God. The same respect for human life that shapes our opposition to abortion and euthanasia must also shape how we view issues like war, poverty, health care and immigration. We honor and respect all human life, from the very first moment until the very last, and at every moment in between. If you would like to request an End of the Year Tax Statement for 2017, please complete this form and return to the parish office via the offertory collection, email or mail it to the parish office, attention Linda Fitzpatrick. Please note that all school parents will receive their end of year statement through the school communication folder. In today’s bulletin, you’ll find a summary of our year-end financial statements. First and foremost, thank you for your generous stewardship. Your support allows our parish not only to function but also to thrive, so hopefully this brief summary gives you a better idea of how your contributions are being used. Our fiscal year ended on June 30, 2016, but I wanted to wait until the statements were finalized and reviewed by the Finance Council before publishing this information to the parish. Please take a brief moment to look through the insert in today’s bulletin. Our parish is in good shape financially. We continue to be debt-free, and our balance in savings and endowment has grown during the fiscal year. As you can see, the church side of our operations continues to run a surplus, which helps us to fund the school. The school is the largest ministry in the parish, and we depend on the support of the entire parish in order to maintain this vibrant ministry. 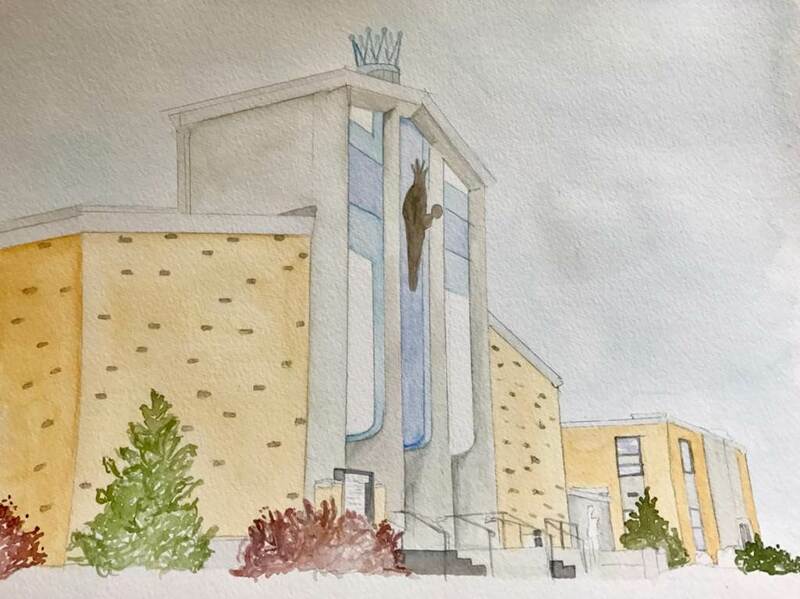 Therefore, the church contributes a considerable subsidy to the school each year, which allows us to offer a discounted tuition rate for parishioners. Your generous support of our educational ministry is greatly appreciated and allows more of our parishioners to give their children a Catholic education. It’s a big investment, but it’s one of the most important investments we can make for the future of our Church. We have also worked hard to contain expenses. We have a long-term facility plan that has allowed us to keep our physical plant in good shape, while spacing out major capital expenses so that they don’t cause too great a shock to our budget. THANK YOU to all who helped make our picnic a wonderful parish event. We had over 50 volunteers that did an outstanding job of doing just about everything that needed to be done. Linda Fitzpatrick and Mike Selsor handled all of the coordinating efforts, and things went very smoothly because of them. My biggest job was eating corn and sausage, and “supervising” all the hard work going on around me. Thanks to Bob Heiderman, Kyle Pope and Danny Fleming for running the climbing wall all day, and to Matt Dhoore and the Clay Fire Department who gave demonstrations and wowed the kids. My only regret is I forgot to get a souvenir fire helmet of my own! We had a great crowd despite the rainy, overcast weather, with people coming from as far away as Bavaria and as close as the rectory to sample our food and fellowship. I’m looking forward to next year already!